There is nothing better than a soft and chewy Peanut Butter Chocolate Chip Cookie. Take regular Peanut Butter Cookies up a notch or two by adding Chocolate Chips to them with our perfect peanut butter cookie recipe. I love a delicious homemade Peanut Butter Chocolate Chip Cookie right out of the oven. Today I am sharing our favorite peanut butter cookie recipe. You can make it with or without chocolate chips depending on your chocolate needs! At our house we prefer using a creamy peanut butter, but if you like nuts, the chunky peanut butter is good too. It totally depends on your taste preferences! There are some secrets to making the perfect cookies. So I am sharing a few of my favorite tips for baking better cookies! Soften Your Butter. Most cookie recipes call for softened butter. Cream your butter with the sugar so that it is soft and smooth in consistency. Measure your flour correctly with a scoop and level it off with a knife. Too much flour will make a drier cookie. Line your pans with parchment paper. Add flour or dry ingredients in batches and mix in between each addition. Space cookies evenly on baking sheet. Cook one pan at a time…if you can and have the patience :)! Use an ice cream scoop to create the perfect round cookie. Let cookies sit on cookie sheet for a couple of minutes before setting them onto a cooling rack. 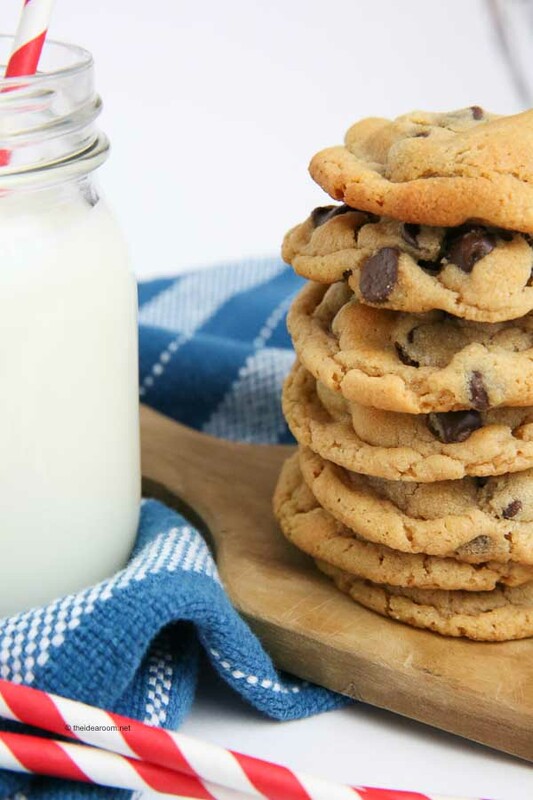 Make sure you have a lot of ice cold milk on hand before baking these cookies. You might want to double or even triple this recipe so there are plenty of cookies to go around. These cookies freeze well, and can keep up to 3 months in an air-tight ziplock baggie in the freezer…that is if they even make it that long! Creamy peanut butter and chocolate chips come together to make the best peanut butter chocolate chip cookies! 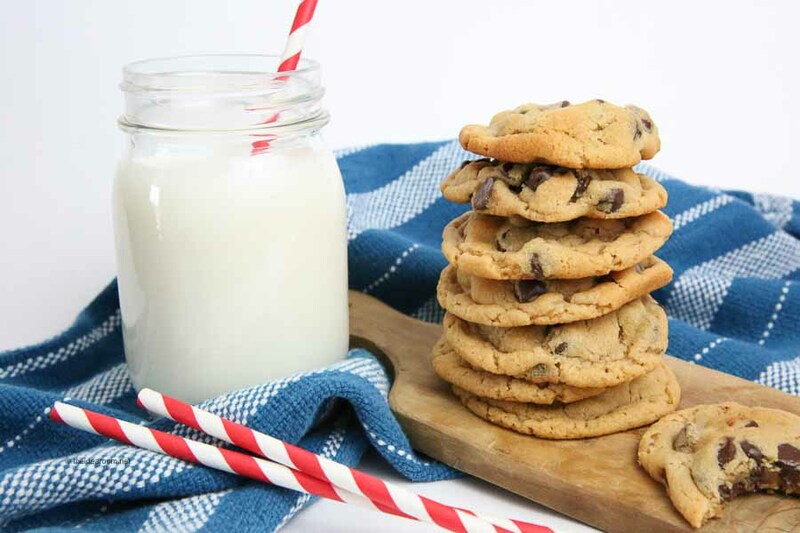 This cookie recipe is a timeless classic and will become a family favorite! In a large mixing bowl beat butter and peanut butter with an electric mixer on medium to high speed for 30 seconds. Add the granulated sugar, brown sugar, baking soda, and baking powder. Beat until combined, scraping sides of bowl occasionally. Add milk (from 1/2 Tablespoon to 1 Tablespoon just enough to make the dough moist and creamy. Add chocolate chips and mix till just incorporated. If necessary, cover and chill dough about 1 hour or until easy to handle. Drop cookies by scooping them out of the bowl with a spoon dropping them in small balls onto your greased cookie sheets. Leave the chocolate chips out if you prefer a traditional peanut butter cookie recipe. Use creamy or chunky peanut butter depending on your taste preferences. Thanks so much Jamie for stopping by and commenting! Hope you girls are doing well! Hi,Amy.. #Drop cookies in small balls onto greased cookie sheets#—> sorry,i dont get what you mean by drop? the dough is runny? Thanks in advance! Sorry Erin…I just added a bit more to the recipe to help it make more sense. Basically the dough can just be scooped out of the bowl with a spoon and then dropped onto the cookie sheet. So you just have a small rounded “drop” of cookie dough. The smaller the drop, the smaller the cookie. Hope that helps explain it better! Thanks for pointing that out…I am sure there would have been others who might have been confused! Thanks Gina! I appreciate you pinning it. PB and Chocolate make me happy! Oh boy! This is my kind of cookie! Thanks for sharing. oh yay! That is too funny! I hope you really like them. Ya can’t beat a peanut butter and chocolate combination. It just doesn’t get any better than this. Thank heavens I didn’t set any New Year’s weight loss resolutions. It just gives me permission to eat more of these wonderful cookies. Oh yay! Hope you love them as much as we do! I am making these right now! Thanks for posting these. Saw them on Pinterest and I had to whip up a batch. My boyfriend loves peanut butter and chocolate chip cookies so I am constantly trying different recipes to test them out on his “expert” taste. Just made these and they are AMAZING!!!! Thanks so much for the great recipe. Going into my recipe book for sure! The cookies look perfect to me! Mmm! These were SUPER good. I had to add about 1/4 cup extra flour, but they turned out perfect!!! Thanks for sharing! Glad they turned out for you. Some recipes I have to add a little more flour too as well. Glad you were able to get it just right! I found this via Today’s Creative Blog link party. I swear I spent a good 30 minutes looking for a peanut butter chocolate chip cookie today, but didn’t find anything that “spoke to me.” I’m so glad I saw this. I’ll definitely be trying them soon. So glad you stopped on by from Kim’s place! ohhhh…cheat days! Love it! You will be so glad you did! Where do you find those cute straws? I see them all the time on blogs and pinterest, but have no idea where they come from. Haha! 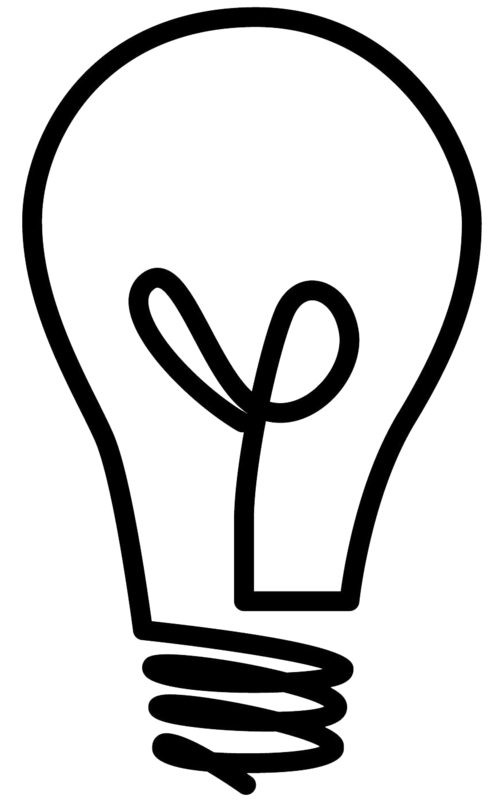 Hint taken…but I unfortunately am horrible at printables ;)! I probably could make it so you could print it off rather than copying and pasting. I will see what I can do. Making them right now for the kiddles – hopefully my sister and I don’t polish off the batch before they get home from school! Thanks! haha. How fun to be able to spend time making cookies with your sister. Hope you loved them. Just made this recipe on pinterest yesterday and made them today (I halved it because I knew I would eat them all if I made the full recipe). Delicious! I am the same way. Glad you loved them. Thanks for coming by to share that with me. oh yeah!! Hope they turn out fantastically for you! Ours are gone now…must make more! making these stat! thanks for sharing, i LOVE pb and chocolate. i enjoy your blog as well. thanks for sharing your gifts and talents. Thank you so much for you kind words Michelle. I really appreciate it. Just made these, absolutely amazing!!!! One of the best cookies I have ever made and I love making cookies! Yay! So happy to hear that! We love them too. Loved the honey substitution, but I think it could use a little more peanut butter to suit my taste. Your pictures are AMAZING! Would you please email me the file for one? I am hanging pictures of beautiful baked goods in my new kitchen. Thanks for the recipe, definitely a keeper. I use this recipe too and my family loves them! So moist and even better the 2nd day! I have never added extra milk but probably a little extra peanut butter. I just pinned this to my Peanut Butter/Chocolate inboard. Yeah, I have a board designated to just that combination because I love it so much! I made these tonight with mini chips, they are quite good! I’m pinning the recipe. Thanks! YUM! those cookies look delish–great pics! oh.my.word. I just made these, and they are SO SO good!!! I thought 1 cup of chocolate chips was more than plenty! Mmm Mmm Good!! 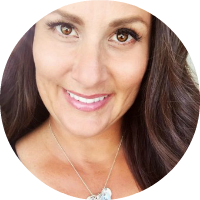 Hi Amy – I stumbled across your blog when I was looking for fun/cute valentines decorations, and the kissing balls came up. I started looking at all your posts, and now I’m addicted to this blog. Seriously! I can’t wait to try making a lot of these things, and I love how creative and resourceful you are! So tonight I finally tried making something, and it was these cookies. They are delicious! I’ve already had about three :) Thanks so much for sharing! A girl brought this to craft group last night and they were wonderful. Had to find the recipe! I cannot wait to make them. Thanks for sharing with the rest of us. I’m so excited to see this recipe! Give me anything with peanut butter or chocolate and I’m a happy camper :) I “pinned” this recipe as soon as I saw it and I can’t wait to try it! Thanks for the recipe. I tried them! Nowhere near as beautiful as yours but every bit as addicting as you implied. Thank you SO much! Hi Amy — I found this recipe on Pinterest & made these tonight –I think my boyfriend has eaten a bunch already! :) so so good. Thanks! It’s snowing out today. In Seattle. ICK POO!! So…I had to make cookies. These are scrumptious. Thank you!! Can I just say … heaven in my mouth! I too am a chocolate/PB fanatic and LOVE THESE COOKIES! My husband was at work when I made these. Me and my 3 year old almost had them all eaten by the time he got home. I guess I’m gonna have to use the elliptical a little longer tonight. BEST RECIPE EVER!!!!!!! Thank you for sharing this recipe! They sound delicious. And thank you for the printable recipe card with a picture! It makes it so much easier for me!! I just tried your recipe that I found via Pinterest and OH MY GOODNESS! They are soooo amazing. 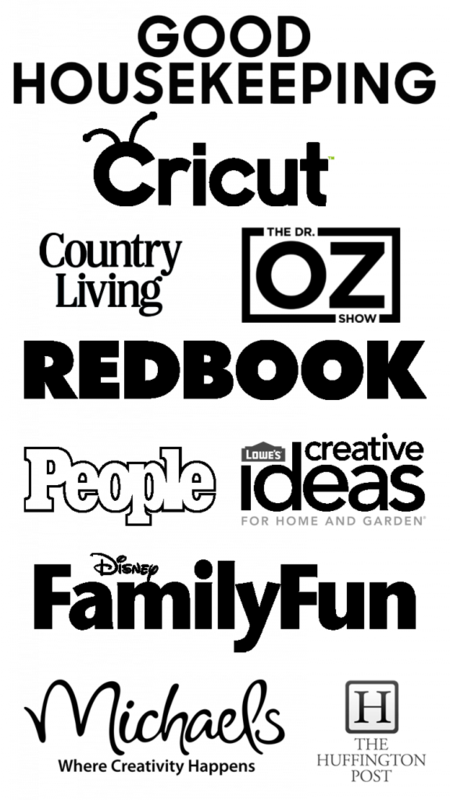 I included a link to your site from my Pinterest Kitchen review post this week (giving you the credit as the source) and a link to where to pin it too! Thanks for the delicious recipe! Very, very good!!! I´m a peanut butter lover, too. I´ll put your recipe in my blog, ok? Thank you for the recipe!! I am going to add this to possible items to add to hubby’s care packages while he is deployed ~ he LOVES PB and Chocolate! Thanks again! These were sooo good!!! Thanks for sharing! Made them and added my own personal element…1/2 cup mini choc chips and 1/2 cup mini m&m’s…Lets’ just say…Ah-Mazing! Thanks for sharing! Fixin to re-post them on my blog…giving a link to here…Love them! This recipe is delicious! I tried it out and they turned out great! I got a little inventive and made 2 batches – the first I followed the recipe exactly and they turned out just like the pictures…mmmm! The second batch instead of peanut butter I used Nutella and added a couple tablespoons of peanut butter. Those cookies went twice as fast as the first batch. Thanks for the great recipe – this will definitely be kept in the “go-to” stack! I just made these and are delicious! And I have very little experience baking do am very excited! So glad to hear that Sheila. They are so worth making! My 3 year old and I just finished baking these. After testing them, he said “These are the best cookies ever. I looooooove chocolate!” :) Saw your recipe on Pinterest. Thanks for sharing!! Awww…thanks for sharing that. Your little guy has great taste! So glad you like them and thanks for stopping by and taking the time to comment. So glad to hear that Kaitlyn! Glad everyone at your house loved them too. These are the World’s BEST PB Cookies! Thank you for making my life more complete! So GLAD you loved them too. I feel like my life is more complete when I have some too. Just made these after I saw them on pinterest. they are to DIE for delicious!! thanks for the recipe! Tried these today. Amazing! I added a little vanilla pudding (just the powder) when I added the flour. I do this with all cookies. Made them so soft! I pinned this recipe awhile back, and my daughter made this the other day all by herself! They were great! Thanks! I posted about it, and linked back to this post for others to try! thank you so much for sharing. These were (and still are- though I shouldn’t eat any more) GREAT! These really are the best peanut butter chocolate chip cookies I’ve ever made. I found you from pinterest and will use this recipe again and again! Thanks! These were the best pb chocolate chip cookies I’ve ever had!!! Thank you for sharing your recipe! These cookies are so good. 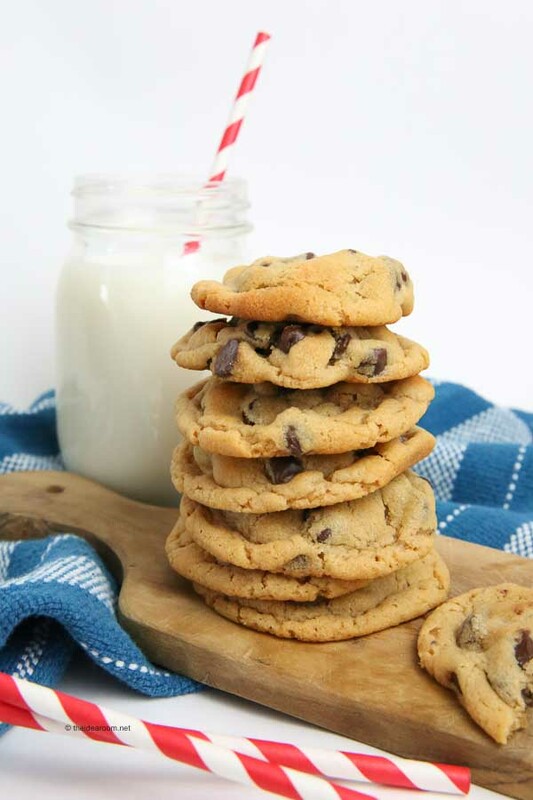 I normally do not like homemade chocolate chip cookies but these turned out fabulous! AMAZING!!! They were super easy and incredily yummy! I just pulled them out 10 minutes ago and I’ve already eaten 4 of them! They are the perfect combo for those who love peanut butter cookies and chocolate chip cookies! Thanks for sharing! ymmmmmmmmmmmmmmmmmmmmmmmmmmmmmmmmmmmmmmmmmmmmmmmmmmmmmmmmmmm this is so good im making them right now and it smells grate ymmmmmmmmmmmm!!!!!!!!!!!!! What elevation are you at? These look delicious but I’m at 4500 ft and I was wondering if my cookies would look as pretty as yours. Peg–I am at 4,226 feet (1,288 m). I just had to google it :)! So it should be pretty close. I sometimes need to add a bit more flour in some recipes but this one should be good for you. Hope that helps! Just wanted to let you know I made these cookies and they are absolutely wonderful! A true classic! I sent them with my boyfriend on his work trip and you can bet they never made it back. I included my post if you wanted to check it out, thanks again for the great recipe! Hello! 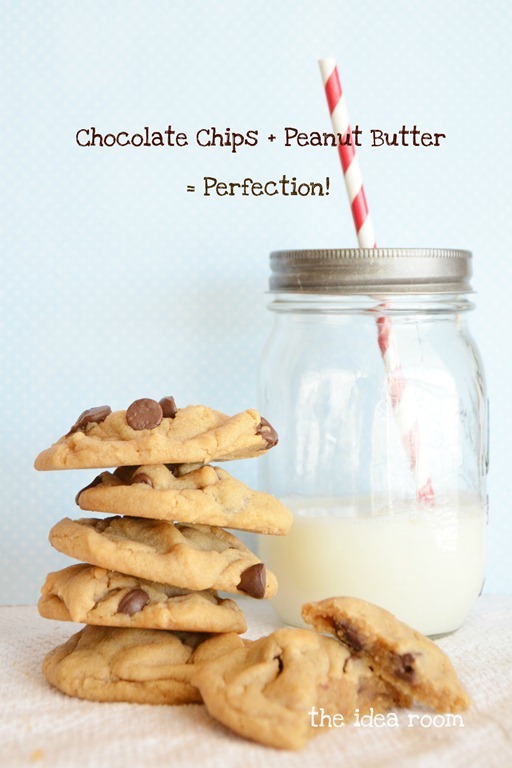 I pinned this recipe awhile ago and decided to make these cookies today…they are delicious!! Thanks for posting the recipe!! “Depending on your preferred chocolate needs…” Aren’t you cute?! Put a whole cup of chocolate chips in these and call it good! :) Making these now for the 3rd time. It is my favorite cookie recipe. One bowl and about 30 minutes later the first ones are coming out of the oven. THANKS! So glad you love them Annette! They are really that good. And my chocolate needs are always great so…..ha! My new favorite recipe!!!!!!! My husband is going to DIE when he gets home. These are so amazing!!!! Thanks for the recipe!! This is my new “go to” cookie!!! Just made these today. I have Celiac so made these with my Gluten Free flour. I omited the milk because they were too creamy already, and had to add more flour. I’m guessing more because of my high altitude (5,000 ft.) than because of the flour. Although I wouldn’t be surprised if it is also partly because of the Gluten Free flour, too. Well Erin, so far so good. Currently loading up the pan with fresh cookie dough. One of us chefs sneaked one already. Stay tuned for more updates. I have noticed a difference when you use the non-salted butter. I think it doesn’t have as great of a taste. This question may have already been posted in the comments so I appologize if that’s the case but approx. how many cookies does this recipe yield? I can’t wait to try this one. Thanks for sharing. This recipe makes about 24 cookies or 2 dozen. About to put them in the oven! Does it really make 36 though? Well….. anyway, they smell yummy! Cant wait! about to put them in the oven. yummmmm. how many does it make? it looks like it would only make like 10, not 36? I love baking. I love baking cookies more than anything. And while I’ve searched through countless blogs and made a lot of really good cookies, this one is a stand-out. I use dark chocolate (because I love dark chocolate) and a heaping 3/4 cup of peanut butter and they come out perfect everytime! These are impossibly good cookies. They also happen to be some of the nicest looking cookies I’ve ever made. Can’t really beat that. Thank you for sharing your recipe, it’s much appreciated. Yay! I am so glad you shared that with me. We love them too and they are one of my very favorite cookies as well. Thanks for taking the time to come back here and let me know! This sounds yummy, but how many cookies does it yield? Do these cookies get hard or do they stay semi-soft? The best part of these cookies for me is that they stay nice and soft…and delicious!! I am so going to make this right now! I just made these with crunchy peanut butter, and they turned out great! Thanks for the recipe! Saw this recipe on Pinterest and I have made them at least 4 times now. This is my family’s new favorite cookie recipe. Delicious!! YUM! These would be great with our peanut butter cup hot chocolate! These cookies rock. Thanks so much for sharing! Great cookies! Anything with p.b. and chocolate has to be a winner in this house! Mine were probably a bit larger than expected in the recipe….got 32…and had to bake about 4 minutes longer in my convection oven. Crispy on the outside and mmmmm on the inside! Thanks! Baked these in the afternoon, turned out great! Whole family loved them!! So glad they were a hit. And thank you for taking the time to come back here and share that with me! I always appreciate it! Just saw this recipe on pinterest and made it today! Turned out perfect! Thanks! These are fabulous cookies!! I used a pampered chef cookie scooper – so mine were a little larger. I baked them for 10 minutes. Very yummy! Thanks! I have baked these twice now and they are the best cookies ever! I made them again today and added 1/2 cup walnuts and they are so yummy! Very easy recipe to add your fav thing to and make it your own! I can’t stand after you make cookies and they cool down and get hard- these cookies stay soft even after they cool down. Thanks Madie! That is really one of my favorite parts too…the soft cookie! I don’t like hard cookies either so sometimes I will only bake a few so I can save the dough and have fresh cookies another day…that is if the dough doesn’t get eaten first. Hi. I just finished baking these Choco peanut butter cookies and they are hands down FABULOUS !!! Thanks so much for sharing!!! Yeah!! So glad you made them and loved them! Also thanks for taking the time to stop by and let me know. I always love hearing when someone makes something I have shared…and even more when I hear they enjoyed it! Ahhh! These melted in my mouth! Dangerously good! Oh. My. Gosh. These cookies are so good! And they are even soft and wonderful after five days. My favorite part is that they are slightly crunchy on the outside, but softish on the inside- which makes the perfect cookie. I saw this recipe and I want to give it as a gift in a jar. Can I just mix all the dry ingredients together and leave out the wet ingredients? Any ideas? Thanks for your help!! You should be able to do that with no problems. What a great idea! 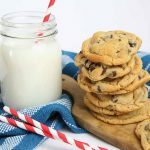 Just made these cookies for my family – turned out to be a TOTAL hit! So gooey and delicious! Thank you for the share! So glad to hear that! Thanks for sharing it with me! I have frozen cookies and pulled them out for later and they have always been fine! These look AMAZING!! I can’t even begin to tell you how excited I am to try them :) I’m at 7,000ft and new to cooking and baking at elevation. Is adding flour the only adjustment that you typically have to make? And how do I know when I’ve added enough? Thanks so much in advance! These were delicious even though I made them dairy free (Earth’s Balance butter spread and non-dairy chocolate chips)! Very impressed! So glad I stumbled onto your blog via Pinterest. I just made these PB Choc. Chip cookies for a work cookie exchange & they turned out great. On the 2nd batch, I added more PB & less choc. chips & they seemed even more chewy. I recommend using parchment paper to get a pretty cookie like yours. I used a melon ball scooper, but you will need to press the cookie down, unless you prefer tiny cookies. Thanks again for posting as these are my new favorite cookie! Absolutely delicious!!! We used the honey instead of brown sugar.. So moist and delicious! Thank you for sharing! These cookies look amazing, wonderful pictures and I guess it’s not just the camera. :-) Love the simple recipe and the beautiful output! I made these last night. I divided the dough in half and put chocolate chips in one half, and butterscotch in the other… I let the dough chill in the fridge overnight so it was easier to handle. AMAZING!!! It’s hard to find a PB cookie that isn’t dry the next day… These are wonderful!! Going to make them again (after these are gone :-) with almond butter!! Thank you for sharing! These are amazing! This has become my staple cookie recipe. Thanks so much for sharing! The pictures you posted are amazing, too. I just made these and they are AMAZING!!!!!!! We had a hard time putting them down! Thanks for the recipe it will be my go to cookie from now on! These look delicious, but I just tried making these and I think I did something wrong. Instead of being full and soft, they’re pretty flat and hard and have “pores”. The cookies definitely puffed up in the oven, but deflated as soon as I took them out. I followed the recipe closely because the last time I made peanut butter chocolate chip, they turned out just as disappointing. Any ideas as to where I might have made a mistake? Simple and amazing. Love that it calls for everything that can already be found in the pantry/fridge. omg, I just found these on Pinterest while I am here at work. I am SO making these tonight when I get home – can’t wait!!! I never really comment on blogs but this one deserves it. These are the BEST most scrumptious, gooey, perfect cookies ever… EVER!!!!!! Wow! Thanks so much for taking the time to comment! I really appreciate it. I thought this was a lovely recipe, but they didn’t bake so well for me :( … I did three batches, all at different times, and they all came out sort of … mushy. I’m not sure if it’s the peanut butter or bc I used honey instead of brown sugar? They were still yummy, but not for someone who likes firmer cookies! Oh no! Sometimes if my dough is a bit sticky I will add a bit more flour to it. High Altitude can affect that a bit. But they are for sure a bit softer. These were absolutely amazing! I made these this morning before breakfast. These are a keeper. The only thing about them is I had to cook them for 11 minutes instead of 9 to get them cooked. Other than that my family and I LOVE these! Thank you so much for sharing! I work at an orphanage in the Philippines, and I baked these for our kids this week. They LOVED them! Thank you for sharing the recipe! Yumm! I loved these! They are nice and fluffy. Sadly I after about ten of these.. YUM!! Cant wait to try this! These look absoloutely delish! In fact, Im going to go make them right now… Thanks for sharing! Delicious! These are the perfect combination of peanut butter and chocolate! I’ll be making these again! How do you get yours to turn out flat without squishing them like in the original recipe? If I just bake them as the balls, they don’t spread out like they’re supposed to. I’ve just been squishing them beforehand. Great recipe though – I’ve gotten many compliments on them! I do use milk chocolate chips however instead of semi-sweet. I don’t know. They just do. Butter tends to make a flatter cookie, so if you want flatter you could try using butter instead of margarine or other shortening. Not sure what you are using now. these are really good cookies! I’ve made them twice now and both times they turned out great. I love how fluffy these are! I’d say one batch of these makes about 24 regular sized cookies. Making these for the THIRD time! My family is obsessed with this delicious recipe! Thank you so much for sharing!! So happy to hear that! They are addicting for sure! They are one of our go-to recipes as well! Thanks so much for sharing that with me. I love to hear from people who are actually using what I share! ENJOY! Thank you! They will turn out great! Just follow the recipe and you should have some yummy cookies! Sounds like the perfect day for them! Enjoy! These cookies are perfect! Made them last year and this year my family LOVES THEM! So glad to hear that! They do seem to be a hit with most people!! Made these last night and they are amazing! Thanks for sharing! So happy you loved them and that you came back here and let me know!! Now I want some ;)! I just made these with my 3yo. We used 1/2 cup chocolate chips and 1/2 cup peanut butter chips. They are outstanding! These will definitely be added to my cookie rotation. I am so glad you loved them! Thanks for taking the time to come back and let me know! I always enjoy hearing from others who have really tested them out! I just made this! Half of it were gone even before they were completely cooled off. It totally satisfied my peanut-butter and chocolate cravings!!! Ha! Sounds familiar! I am so glad that you loved them. And they totally fix my PB and chocolate cravings too. Just made. These are perfect. And it made my morning when you said “depending on your preferred chocolate needs”. Just made these to take to work but they are so good I think the family will be eating them all!! Thanks Amy!!! haha! You can always make another batch…for yourself…or to share! Thanks for the fun comment! These are absolutely DELICIOUS!! I wanted to try a new recipe today and whipped these together! talk about perfect combo to satisfy a peanut butter chocolate craving! I tried sprinkling a little seasalt on top of some and it was also super delicious! Thank you for this awesome recipe! haha! So glad to hear that your family loved them! Thanks for sharing that with me! Happy baking! These are fantastic cookies!!! So easy and taste incredible!!! Hi, Amy! 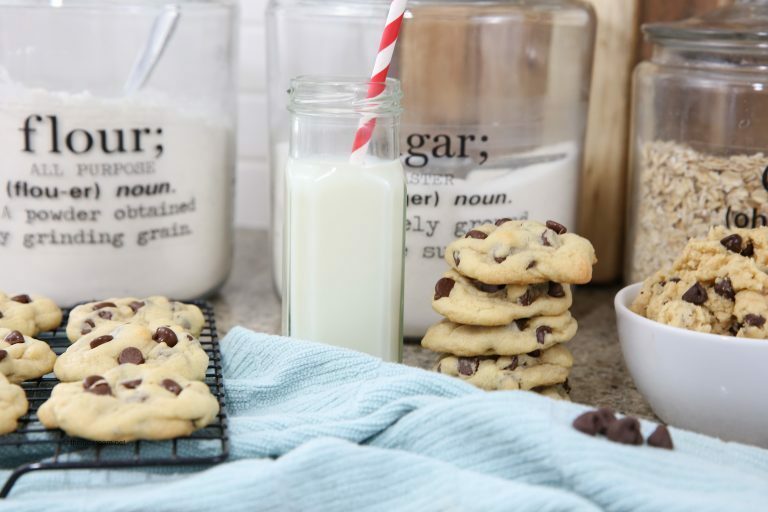 It’s about time I thanked you for sharing your fabulous peanut butter chocolate chip cookie recipe. Since discovering it on Pinterest about 18 months ago, it’s been my go-to cookie recipe. I’ve probably baked them about 6 times so far. The cookies come out great each time, and I always get rave reviews. Thanks so much! I have used this recipe for two years now and every time I make them I get tons of compliments. This will forever be my favorite cookies recipe. These are my favorite cookies ever! My 2 year old and I just finished making a batch in honor of the first snow fall. They turn out perfect every time I make them. Nothing beats one (or two) of these cookies and a tall glass of milk. Thanks for the recipe. I just made these today and they are delicious!! YUM YUM made these the other night and my husband loved them!!! I did have to adjust the temp and time. I had it at 375 for 8 min but it was to mushy in the center so I put it on 350 for 10 and it was amazing :) I love how simple the recipe is !! I memorized it already lol Im baking another batch for my daughters “Cookies with Santa” event at her school. She’s taking a tray of your cookies to share :) Happy holidays!!! Yay!! So happy to hear that and that you were able to get them to work out perfectly! Hope they were a hit in her classroom event! You are welcome! Now I want some! These cookies are AWESOME. A household favorite! So glad to hear that! They are one of our very favorites too! Just made these tonight for my bf who loves peanut butter. They were just as good as all the commenters said. Will definitely make again! We have made these twice in the last seven days and they are ridiculously delicious!!! I’ve passed on this link to many already!! This is definitely a recipe we’ll be using often. Thank you! I know this post is a few years old, but I just made these for the first time and HAD to leave a comment! They are delicious! Absolutely the best peanut butter cookie recipe I’ve ever made! I learned that 7 minutes was the magic number for my stove and then I let them rest on the cookie sheet for 1-2 minutes before moving them to a cooling rack. If I tried to immediately remove them, they crumbled. So the extra minute really makes a difference! Thank you for posting this recipe. I saw the title and had to look at the recipe because I think I have the best peanut butter chocolate chip recipe (given to me by a friend) and wondered how close yours was to mine. The amounts are exactly half of mine(except for the mile), and I double mine. :) You are right, they are the best! We must have similar tastes! I’m trying these tonight and my first batch is in the oven! I used the brown sugar and thought, “why not some honey too?” So I put both in and made the cookies bigger so I may only get 14 or so out of the batch! Thanks for the recipe! Just made these. They are DELICIOUS! Perfect balance of chocolate and peanut butter! These were awesome!!! Made them tonight and my husband and I ate a bunch of them. Will definitely make again !! So glad to hear that you loved them Jody! No salt in this recipe? The peanut butter has salt in it. Hope you enjoy the recipe! I’ve tried many MANY cookie recipes I’ve found on pinterest which state “best ever” “great” “my family loved” and to be honest most of them have just not been that good. I just made these, expecting pretty much the same result. WOW was I wrong! These cookies are delicious – soft with just the right mix of peanut butter and chocolate. I will definitely be adding these to my Christmas cookie list. Thanks for the great recipe! I was just wondering if it was bad to use natural peanut butter when making these…I made them today and they were not as peanut buttery as I was hoping and thought it might be that? I think regular peanut butter has more oil and salt. So that could possibly be the problem. I wanted to love these but mine were so blah :-( I followed the recipe to the T and the next batch I added more peanut butter. Still lacked flavor. Sorry they didn’t turn out for you. That sounds amazing. I will have to try that next time I make them. Thanks. These are amazing! I used mini semisweet chocolate chips. Best I’ve ever made! Nakisha- I am so happy that you loved this recipe! We love it too! Thank you for sharing your secrets- these were SUPER good!! Becca-So happy you enjoyed them! Wendy, I am so happy to hear this! Thank you for your feedback!